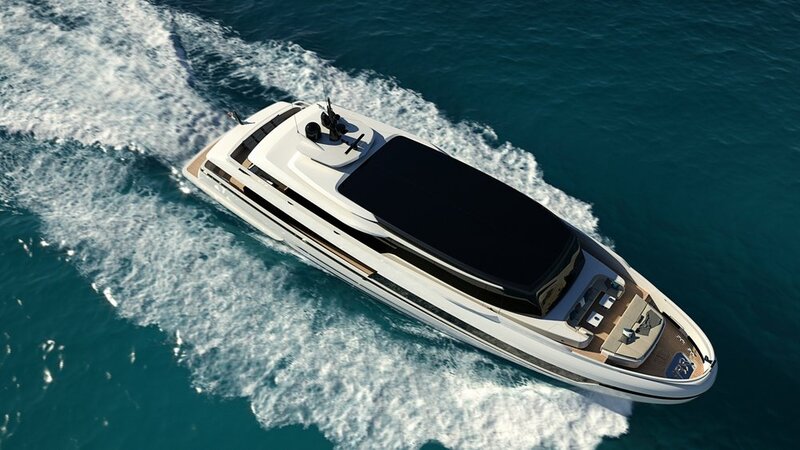 Exceptional volumes for the yacht size, the comfort and convenience of a “villa” on the water, very low fuel consumption for long range and spaces that encourage full conviviality and a direct contact with the sea: this are just some of the unmatched features of the new EXTRA range. The design of EXTRA yachts grants top livability through all the areas, where inside and outside volumes meld with the natural landscape. 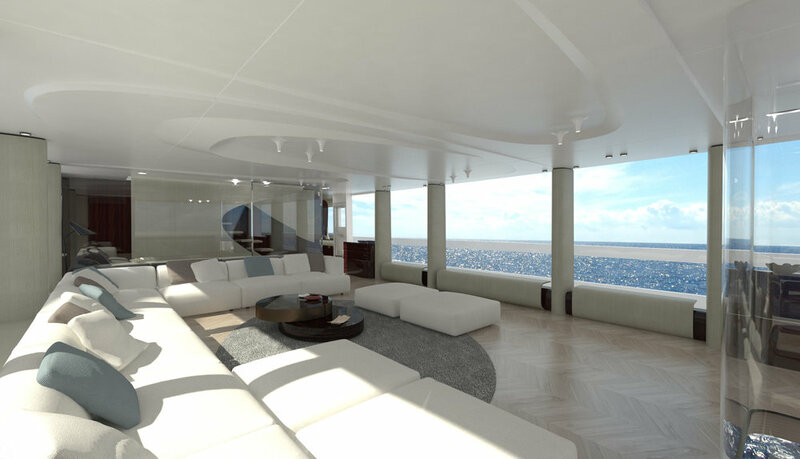 With their wider beams compared to vessels of the same size, EXTRA yachts set a new benchmark in their segment especially in terms of cockpit and saloon spaces. The original look of this range expresses the distinctive character and unique personality of EXTRA yachts: the play of contrasts on the sides between light-colored fiberglass and dark glazing recalls at first glance the lines of traditional sport yachts seen from a contemporary perspective. The large glazed surfaces are combined like part of a crystal sphere, and offer plenty of natural light and unprecedented room to the elegant living areas. 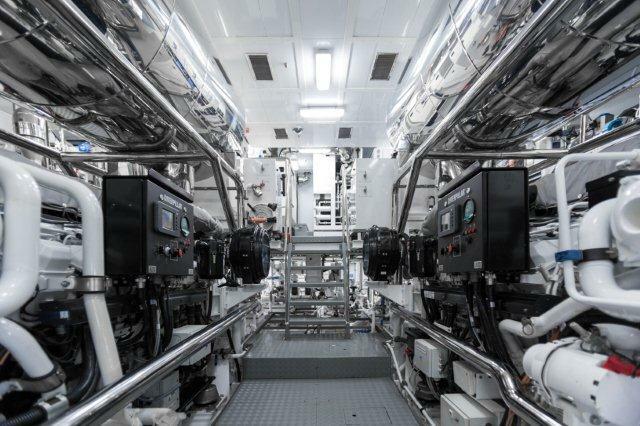 Moreover, photo-voltaic cells help turning the sunlight into green energy, creating a play of light and shadows inside that enhance the EXTRA-ordinary feeling of being in close contact with the marine environment. The exceptional cockpit/beach club of the Extra 76ft and the Extra 86ft, the forerunners of the new range, spreads over 50 square meters, a truly unique size for even larger yachts, where owner and guests can indulge and enjoy an unforgettable experience at all times. Thanks to Palumbo’s solid fifty-year long experience in engineering, building and refitting megayachts and ships of all nature and size, the same approach to a megayachts construction process has been implemented on all EXTRA yachts. Actually the EXTRA range features all the onboard systems and appliances normally available on much larger yachts, offering an unparalleled comfort of cruising for unforgettable experiences. watermaker, water softener, UV sterilizer, pumps redundancy, automatic and manual parallel system between generators, seamless transfer avoiding blackout, gyro system to eliminate boat roll and increasing stability and comfort, monitoring system to check all appliances (service batteries, gen sets, pumps, tank levels, lights…), solar system for green energy, integrated Garmin system for navigation and engines monitoring, sophisticated audio-video system, satellite TV antenna. Cruising in harmony with nature also means respect for the environment. The meticulous design process was focused on obtaining hulls with minimum water resistance. This feature, together with a big capacity of fuel tanks and an accurate choice of engines and generators, mean that guests of EXTRA yachts can embark on long and extremely comfortable cruises with a view to maximum environmental sustainability. Efficiency in terms of consumption is also given by the photo-voltaic cells incorporated in the glazed surfaces of the saloon, to generate clean power. Cells are applied to recharge the service batteries, so that equipment like lights and appliances can be used without turning on the generators at anchor and leave the soundtrack on nature. The care taken over reducing environmental impact, low consumption and big, well-lit spaces available on board make EXTRA yachts an unparalleled choice for sea lovers who want to enjoy a relaxing cruise to the full, in total harmony with the ocean and attentive to 'green' solutions, in one word: eco-friendly.